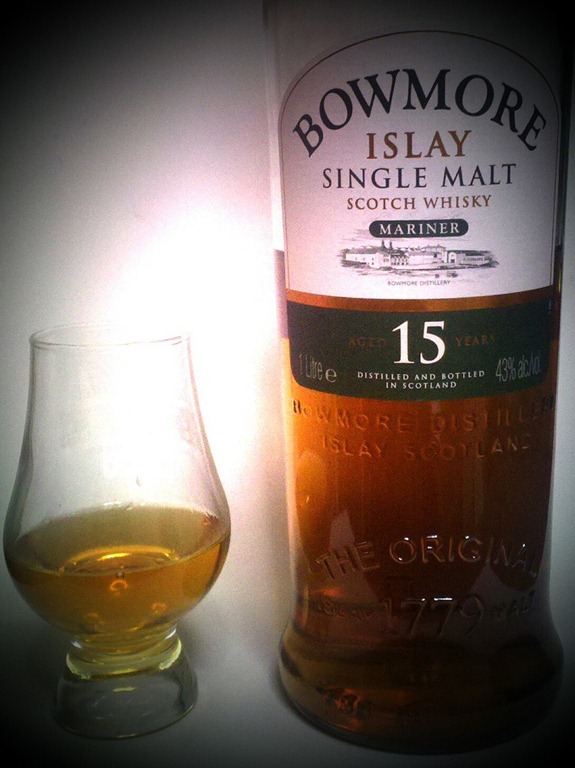 So, back to Islay and this time to Bowmore. I was lucky enough to stay right next door to the distillery the last time we were in Islay; there are few better places to be of an evening than looking across Loch Indaal with the Bowmore distillery behind you and Bruichladdich across the water. And, of course, with a whisky in your hand! Today we have Mariner, a 15 year old expression that has very much become my ‘default’ whisky of late. The nose is full of masses of peat, with a rich vanilla to it. A splash of water brings more of a burnt wood out too. In the mouth it’s all about the big smoke, a rich warming burn all the way down but despite that incredibly smooth. The water brings out quite a sweet tone, but still with buckets and buckets of peat smoke. I habitually add a little water to whisky – I find it often opens out flavours that can otherwise be missed – but actually the Mariner deserves to be drunk neat. It’s not a subtle dram by any stretch of the imagination, but it’s a magnificent one. Not just next door to the distillery but in their own self-catering accommodation, the Old Bakery! I try it once in England. Great whisky. 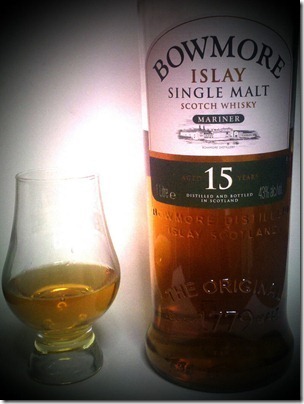 Lovely whisky – have tried a few bowmores – but this is the best. Best served neat with ice. No need to add water – but the melting ice mellows the flavour. The trouble with ice is that it cools down the whisky, which in turn can seriously reduce the flavour and more especially the aroma. Deserving of a “go to ” drop. Pretty different from the 17 and 18 but here is right!